So, what’s with the cowboys? 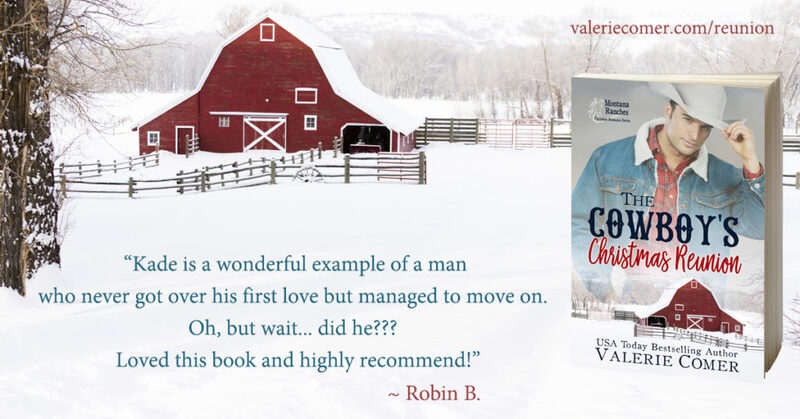 I’ve had a few readers question my “sudden” move into a new sub-genre of Christian contemporary romance, often known as CCR. It seems to be a large departure from my usual fare of rural or urban farms. But… is it, really? It doesn’t feel like it to me. It is still based in agriculture. My characters still enjoy caring for animals and gardens, only now the animals are horses and cows, with fewer goats and chickens! The characters are similar to all my others — a wide range of personalities, struggling with their faith and other issues while they seek love. Or it sneaks up on them. The same engaging characters, strong communities, and deep faith that you’ve always expected in a Valerie Comer romance are still there. Two major differences, though, can be found in the cover above. One, I’m experimenting with keyword titles for this series. Many of my titles, like in the Urban Farm Fresh Romance series, are more ethereal, like Secrets of Sunbeams. The Montana Ranches Christian Romance Series titles will all start with The Cowboy’s… and carry on with words carefully chosen to demonstrate the tropes in that particular story. The other difference is experimenting with photo covers featuring cowboys and barns, rather than illustrated covers. My illustrator and daughter, Hanna Sandvig of Book Cover Bakery, will continue to do my Urban Farm Fresh Romance covers, but she doesn’t enjoy creating covers from stock photos. So, I’ve hired someone else for this series. The Cowboy’s Christmas Reunion first released in A Christmas to Remember, a multi-author box set, in the fall of 2018. It is now available in paperback (everywhere) and in ebook on Amazon, where it is currently part of the Kindle Unlimited program. You’ll find a bit of background on this novel in my Inspy Romance post, Cowboys, Christmas, and Second Chances. Enjoy the Pinterest board for this novel here.